Are you looking for a delicious pork recipe with a difference? If you are, you’ve found it! Here’s my shell pasta with spicy pork and tomato sauce for you to enjoy. I love this shape of pasta and this sauce is perfect for it. The delicate taste of the pork with the strong flavours of the chilli, olives and sun-dried tomatoes is a match made in heaven. I know that most people add cheese to pasta sauces but please don’t to this one. It really doesn’t need it and will actually ruin the natural flavours of the ingredients. 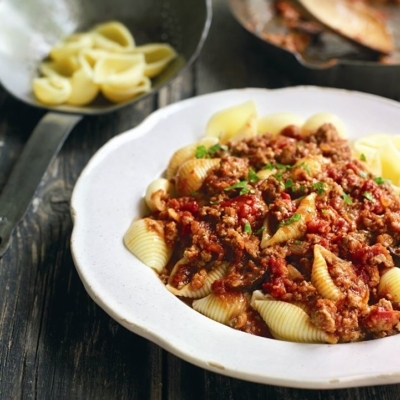 If you fancy, substitute the conchiglie rigate with rigatoni. 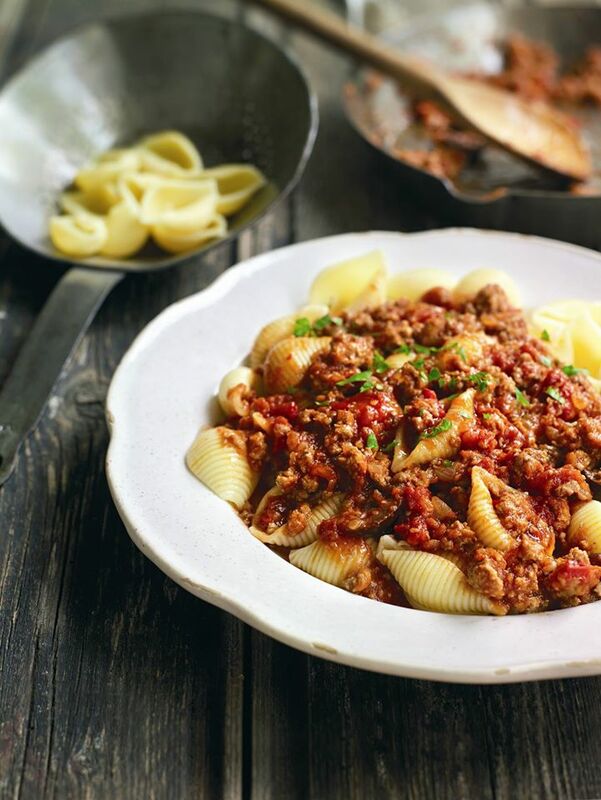 Feast your eyes on the finest shell pasta with spicy pork and tomato sauce! It’s straightforward and fun to make this great dish. Simply follow the instructions below and get the perfect result. Heat the oil in a medium saucepan or wok over a medium heat and fry the onion and olives for 2 minutes, stirring occasionally with a wooden spoon. Add the chilli, sun-dried tomatoes and the minced pork and continue to fry for a further 6 minutes, stirring occasionally. Stir in the passata then gently simmer, uncovered, for 15 minutes, stirring every couple of minutes. Season with salt and set aside, away from the heat. Pour in the sauce and stir everything together over a low heat for 30 seconds to allow the flavours to combine and the sauce to coat the pasta evenly. Serve immediately without any kind of cheese on top. 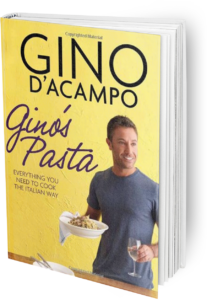 Once you’re done, simply sit back and enjoy your shell pasta with spicy pork and tomato sauce and don’t forget to check out other great authentic Italian recipes including great antipasti recipes, Italian pasta recipes, Italian soup recipes, Italian beef dishes and authentic pizza recipes.